In a few short weeks the great race that is spring law review submission season will commence! Remember, as the saying about life goes, law review submission season isn’t a sprint, it’s a marathon.You and your editors will need to have endurance to allocate, review, and make decisions on hundreds of submissions while racing to meet production deadlines. It’s a long road ahead, but with the right preparation you’ll feel like you’re crossing the finish line to a new journal issue in no time! If your board is transitioning this spring, the next few weeks are a good time to set aside a few hours for the members who’ve been through a submission season to help your new team get in shape. Your journal’s former editors can help your new board quickly get to know the submissions terrain they’ll be running on including information on usual peak and low submission volume periods, high and low points for expedite requests, best practices for handling author correspondences, and tips for spotting winning manuscripts. Don’t be shy about asking your old board questions while you have the chance! Once you’ve gone over introductions and questions with your previous board, the most important final piece of housekeeping before your old board passes the baton to your new members is to have your journal’s former Scholastica admin re-assign their position to your new admin. The steps to do this can all be found in the Editor Guide. Keep in mind that whoever you choose to be your journal’s admin will have to stay on top of certain functions that only he or she will be able fulfill including opening and closing your journal, mass rejecting old submissions, and removing former editors from your Scholastica account. Once board elections are complete, it’s time to start gearing up for the big race. What better way then to take a practice run? If the previous admin hasn’t already, your journal’s new admin editor should add your new editors to Scholastica. Once all of your editors have accepted and confirmed their invitations, your board can start exploring your account. Some strides your board can take right away include having your admin editor clear out remnants of the previous board including deleting former editors from the system and bulk rejecting back-manuscripts. While you’re getting started we encourage you to reach out to the Scholastica team for help! You can contact us at support@scholasticahq.com to set up a free demo for some or all of your new journal members. During the demo a member of the Scholastica team can help you devise the best workflow system for your publication. As the clock winds down to submissions opening, be sure to check that your journal account is set for editors to take their places. To start, assess your journal’s Scholastica About and Author pages and update any dated content, beginning with your journal’s masthead if your board is transitioning. Your journal’s admin can do this by going to My Journal > Settings > Configuration Options. From there your admin can update everything from your journal description and submission guidelines to your board’s email notification preferences. Transitions are also a time for your new board to assess existing journal tools. One of the best resources you can focus on developing or improving upon for your new board is manuscript review criteria. Having a set of guidelines that editors can use when reviewing manuscripts will ensure that everyone is assessing submissions quality in the same way. You can have review guidelines in a standalone document or customize your Scholastica reviewer form by modifying, deleting, and adding submission and rating scale questions to make it fully reflect your new board’s review expectations. In addition to updating your Scholastica account, be sure to check your journal’s external website for accuracy prior to opening for submissions. When authors type your journal name into a search engine they will likely hit your university hosted website first. Take a look at that site to make sure your submission guidelines are up-to-date including article scope, format, and delivery preferences. 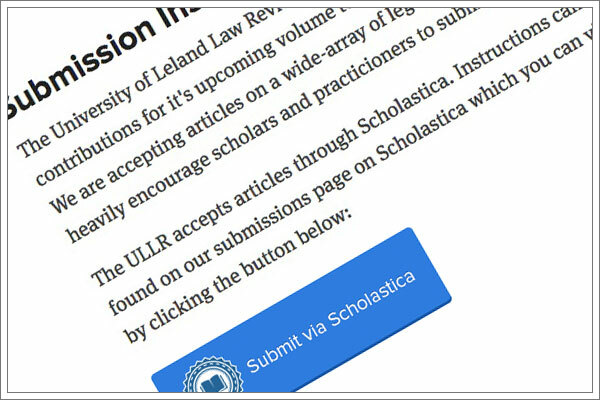 To avoid getting inundated with email or snail mail submissions, make sure your website includes an active link to your Scholastica submissions page, or your journal’s custom submission button. Days to reject - In addition to aiming to make all article decisions in a certain timeframe, your journal can set a goal to make all article rejections ASAP and track your days to reject. Authors will appreciate you sending them timely decisions! Submissions volume - Your board can also set a goal to increase your submissions volume this spring and track your submissions number against previous periods to see how your publication’s reach is growing over time. Burning yourself out is no way to run a race! 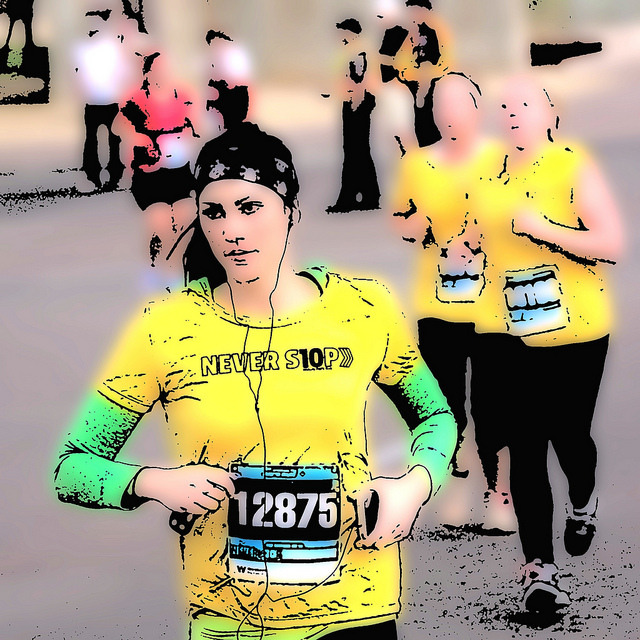 Have you ever found yourself running so fast that you can’t keep up your breathing? You end up cramping up, staggering, and gasping for air. Failing to take a few moments to catch your breath during submission season can result in a similar situation. Don’t find yourself crouched in a corner of the library hyperventilating from all of the pressure (this is of course an exaggeration - we hope)! Juggling law school and law review at the same time can be overwhelming. Don’t forget to breath! Carve out a few moments for yourself every day to step back from your work and appreciate the bigger picture. Two law review editors detail the kind of submissions that hit it out of the park for their journals. David Driesen, Professor at Syracuse University College of Law, explores the dangers of allocative efficiency, which can lead to avoidance of systemic risks and long-term consequences. Over a thousand people are killed by fatal force in the US every year. Yet, according to Mitchell Crusto, professor of law at Loyola University New Orleans College of Law, despite the high number of fatal police shootings officers are rarely prosecuted. In this interview, Crusto discusses his research on the use of fatal force and proposals for stronger regulation. Ana Santos Rutschman, professor at DePaul University College of Law, discusses why intellectual property has a big role to play in the future of outbreak disease management. In a recent article published in Touro Law Review, Katharine Schaffzin argues that law reviews should consider transitioning to online-only publishing in order to cut costs and improve the publishing process.